14 easy ways to have a modern kitchen! For those who want to give a unique touch to the kitchen, today at homify we are going to show you different examples full of ideas and inspiration. You'll want to renovate your kitchen immediately! 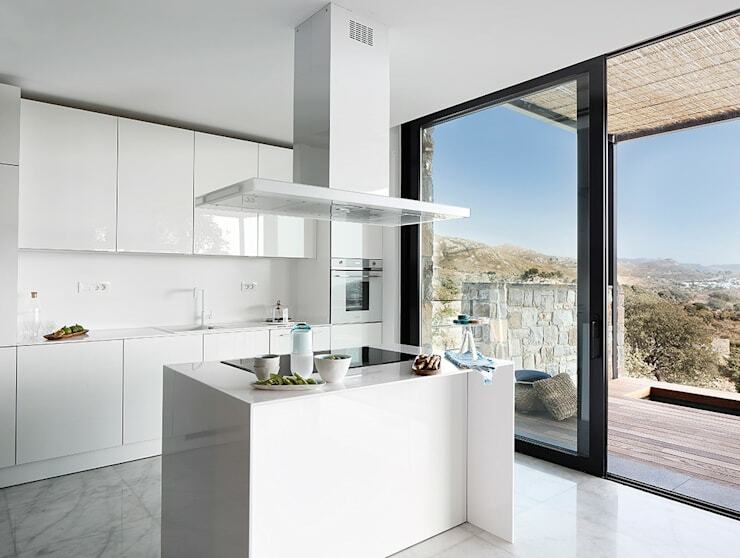 There are so many great options that often we don't know where to start when it comes to modernising our kitchen. This is why today's article is the perfect place to begin. 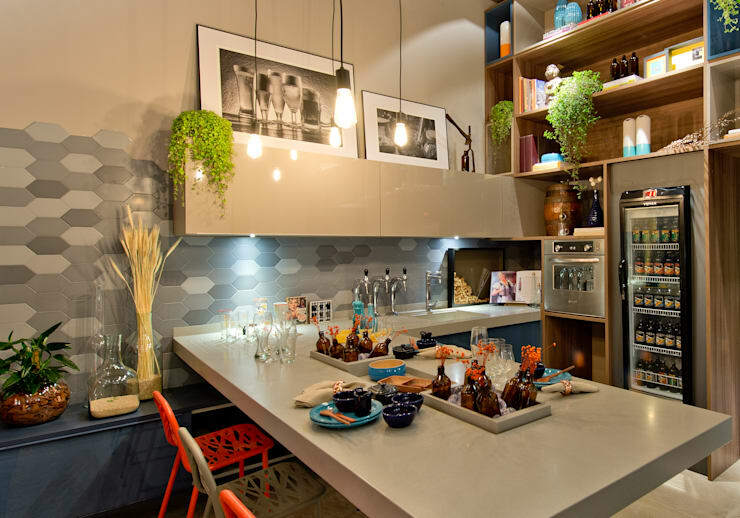 It will teach you savvy ways to store the crockery, cutlery and utensils as well as how to take advantage of the furniture and improve storage. We'll even look at how to choose colours and materials. This article has everything that you need to know about having a modern kitchen all in one place. 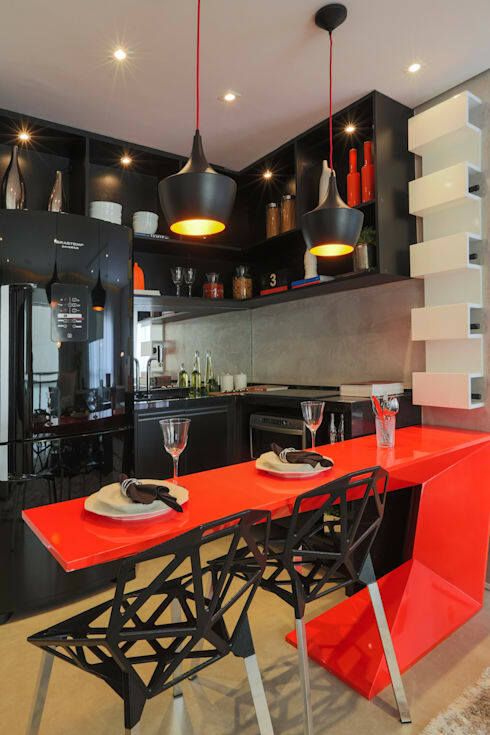 We hope that it will be incentive for you to apply tips and tricks to your kitchen space. 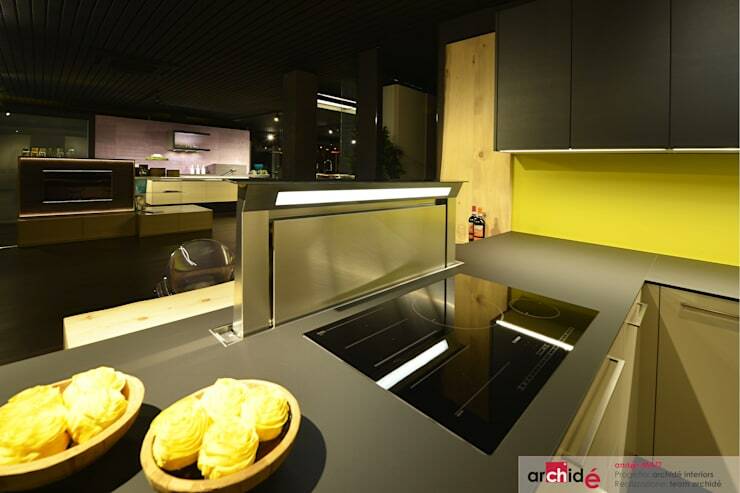 Ceramic has a very clean and elegant finish, giving your kitchen a very glossy look and feel. It also features a very smooth surface. Use materials that support high temperatures and are easy to clean. Polished concrete is an excellent and economical choice. For more refined tastes. we recommend marble or granite. Say goodbye to heavy tools in the kitchen and start using small utensils that are practical to clean and easy to store. Use shelves to keep your kitchen organised. 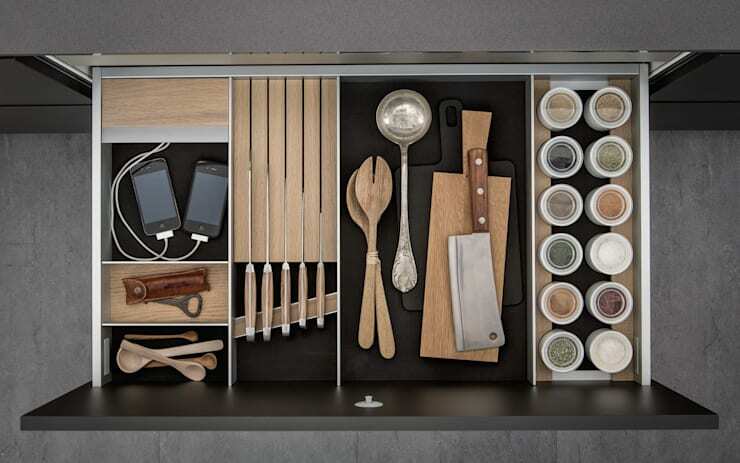 If you have limited space, install shelves and cabinets so that you can organise your cutlery, crockery and appliances more adequately. 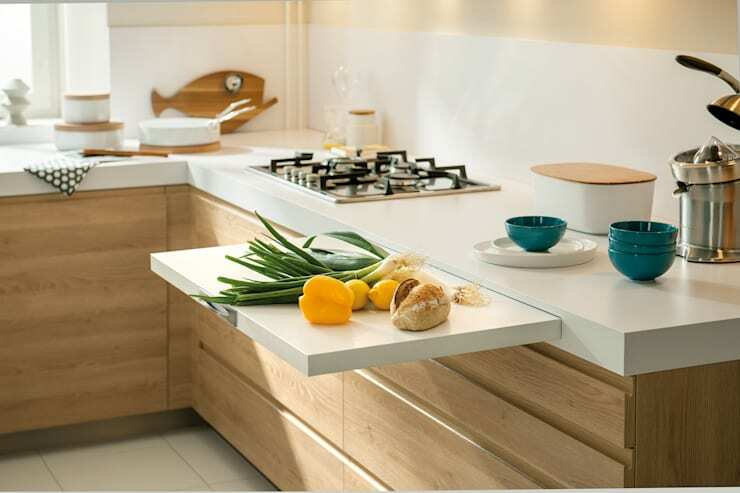 Kitchen islands are a very modern and savvy addition to the kitchen, providing the area with extra storage space as well as an extra surface area for cooking or preparing food. Having a glass-lined counter top provides a unique glow to a kitchen space. What's more is that you only need soap and water to clean it. 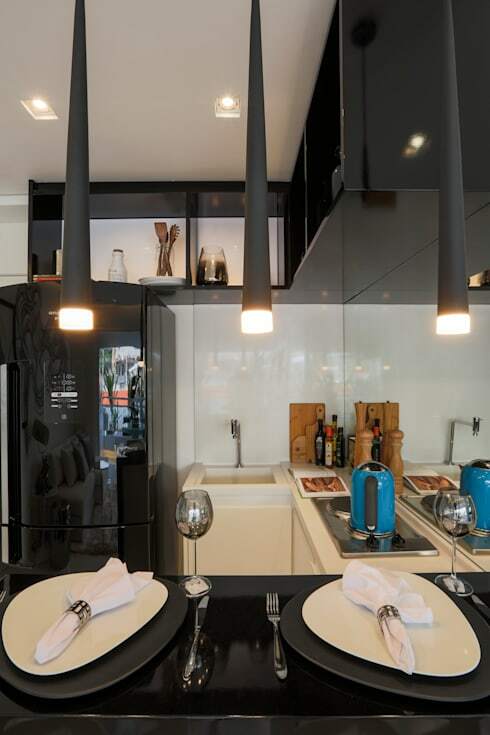 One of the most important factors in a kitchen is lighting. This is a functional element that also illuminates your creative design. 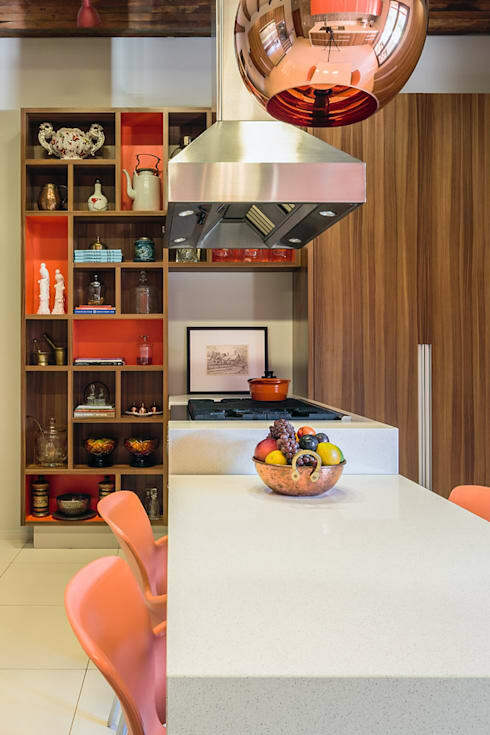 Don't you love this bright and bold kitchen by design professionals Chris Silveira Architects & Associates? These are functional and are very easy to use. In addition to offering more comfort, these kitchens are also better to work with because everything inhabits the same surface. As we can see in this design, steel is a great choice. This material is very delicate and aesthetically appealing. It also combines beautifully with wooden furniture. This is a new, savvy and comfortable alternative to the classic kitchen. They maximise space. You can also use several boards of different sizes for a truly versatile kitchen area. This solution is great for people who tend to cut themselves when ever they're fiddling in a drawer! 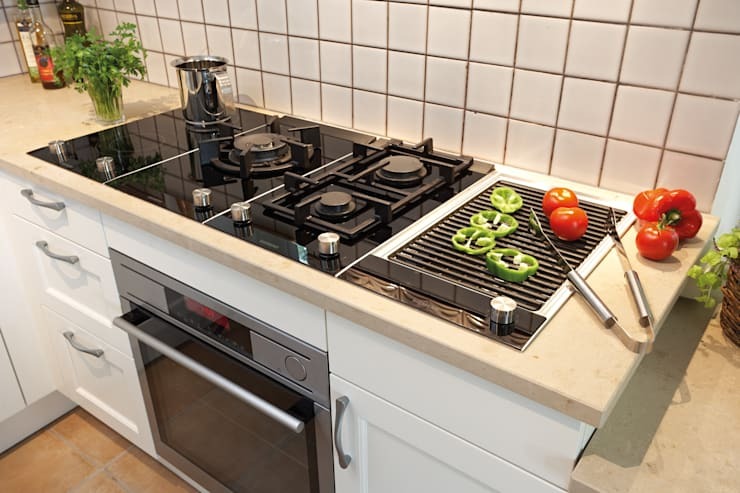 Granite and steel are wonderful options. 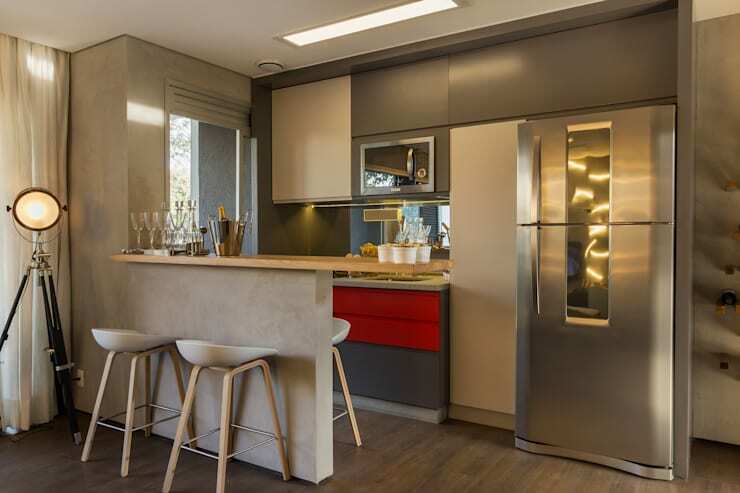 It doesn't matter if your kitchen is large or small, you can choose materials that will stand out. Granite, for example, can be chosen according to your favourite colour. 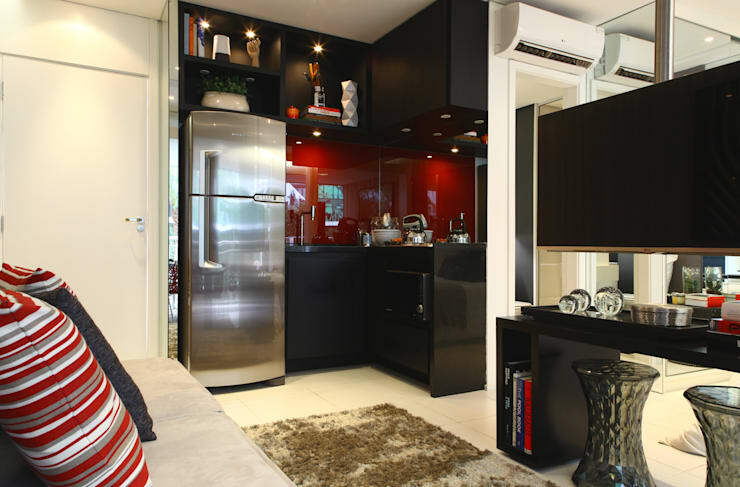 In this design, we can see how well the space has been utilised. The designers have installed shelves across the vertical area, maximising the storage space available. The kitchen bar subtly separates the small kitchen from the rest of the home, without cramping and crowding the area. 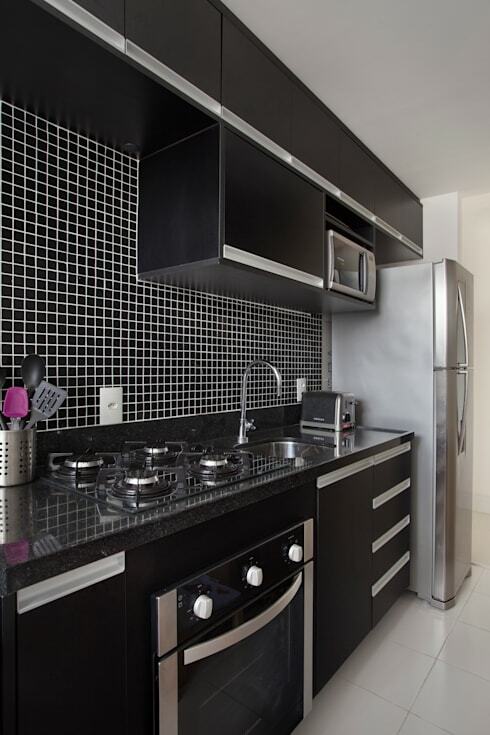 For a stunning kitchen, you need to have some unique elements. In this design, we can see how the impressive lights make for a very bold design. 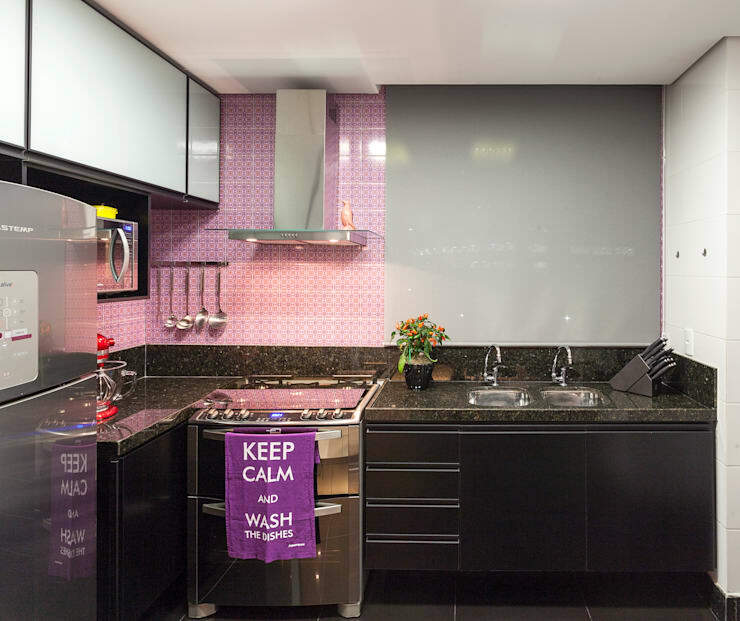 If you've enjoyed this article, you'll love this one too: Beautiful kitchens: 7 ideas to decorate the walls.